Making Better Business Decisions Requires Better Management Information! Manually collating data from various sources to try and create a ‘view’ of what’s happening in your organisation is time consuming and, in most cases, does not provide accurate results. Often by the time the data is collated and a report produced it is already out of date and this ultimately leads to sub-optimal business decisions and, perhaps, costly mistakes. So whether it’s business forecasts, resource occupancy or utilisation rates, costs analysis or any other key performance metric, it’s vital you are able to access a ‘single version of the truth’, and have this accessible to the people who need it, when they need it, and in the format they need it. 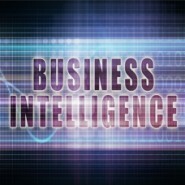 With the addition of the Business Intelligence Manager, CABS is able to support a range of Business Intelligence tools from online queries to business dashboards that are updated in real time, allowing you and your managers to run your business more effectively and be confident that the decisions you make are based on accurate and current data. Contact us today if this sounds like the game changing opportunity for you that we believe it is, and let’s start working together to make this happen as soon as we can.